Replace Rear Struts: How Do You Replace Rear Struts? How do you replace rear struts? Okay, so you will need to raise the car and remove the tire (you can do this one side at a time). Once that is done you will need to unplug the ABS sensor or any other wiring that maybe in the way. Now you should find a pinch bolt remove that and the bolts that hold the upper support. Now you can pull the strut down you will now have to get the strut out to the knuckle (pinch type). See picture included. Check out the diagrams (below). Please let us know what you find. I recently purchased this car and on the test drive I noticed some noise coming from the rear which I assumed was the struts. I replaced the struts using the old springs mounts etc. I thought this was okay since the springs looked relatively new. Now the springs are rubbing the inner fender! It first started on the left now both are rubbing. All the bushings on the rear seem to be intact. Some advice would be much appreciated. That has to be an installation error/problem. I need new struts for my rear end on this car. Does a strut kit come with every thing I need to change out the whole strut? Normally the kit will come with all your needs, this will just be the strut unit and any top mount bushes, top bearing plates will be extra if they are required. Can I change out struts for shocks. Not without having major modifications made; welding components in, removing components, etc. A strut and shocks are not interchangeable. 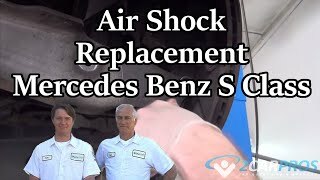 If you put a simple coil-over-shox in place of strut, you will not be able to steer the vehicle and if you do otherwise, the directional stability will be lost. 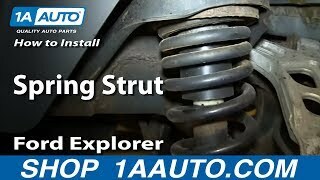 A strut is usually used in front suspension and a coil-over-shox is generally a part of rear suspension. Vehicle riding rough? 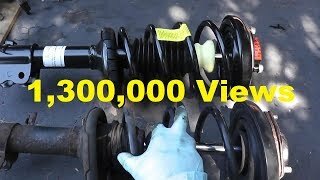 Need instructions on replacing shocks and struts? Just let me know. Thanks for using 2CarPros. Com! What Is The Estimate Price For The Labor Of Rear Struts On A 2001 Mercury Cougar?